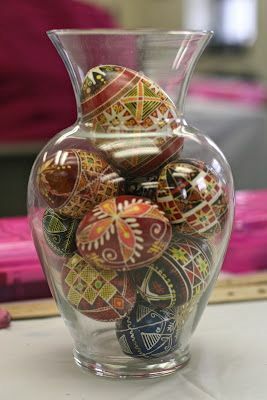 I had a wonderful day teaching the art of Pysanky, Ukrainian Easter Eggs at my studio yesterday. One of my students posted pictures and an interesting description of her day so I though I would share the link. The traditional eggs are beautiful, but I especially like the ones where the students go their own direction. 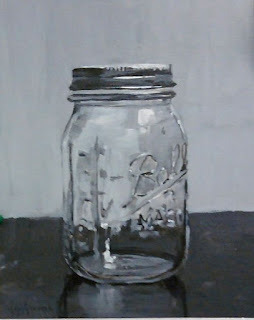 Acrylic Ball Jar on 8 x 10 inch canvas panel. 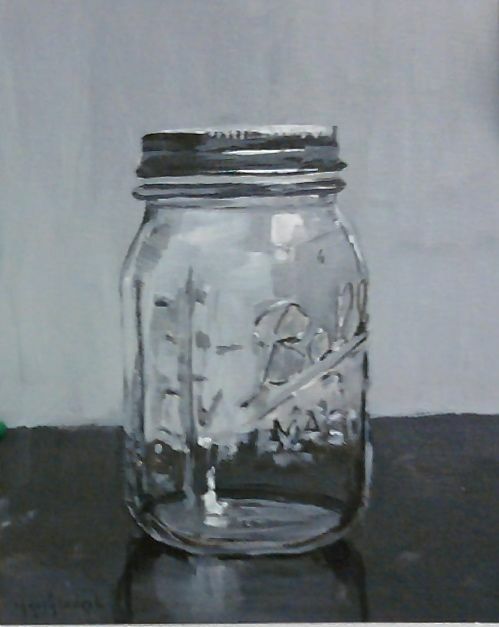 This was done as a demonstration for my teen class. This was a good lesson in observation for them. A great project to do using just values.